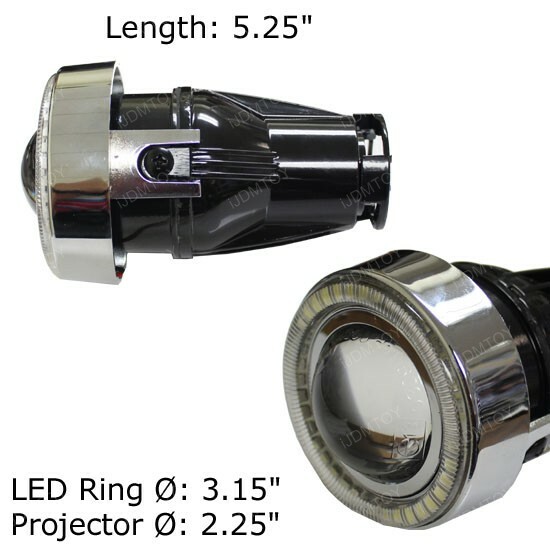 Overall diameter: 3.15", inner projector diameter: 2.25", length: 5.25"
A: Each projector fog lamp assembly kit comes with (2) projector fog lamps, (2) H3 halogen bulbs, (2) 40-SMD LED Angel Eyes and the mounting brackets and screws. 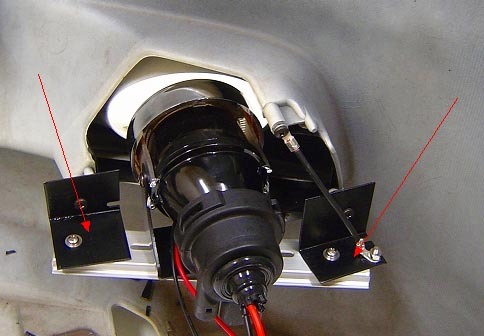 There is no wires included and you can always use the car existing fog lamp harness to install this. 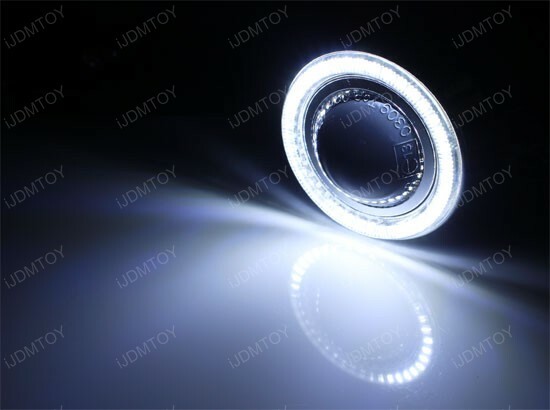 Q: How do I power up these LED halo rings? 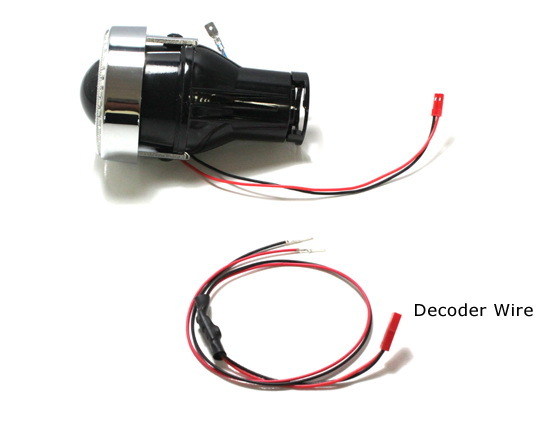 A: There's a detachable decoder used to power up the LED halo ring, simply plug this to the fog lamp, then tap the decoder wires to any existing 12V power source such as ACC in fuse box, parking lights, side marker lights. Please noted, while the decoder wire is already protected with silicone to prevent water damage, it's still a good idea to further reinforce it with something like a latex glove to further guard against water damage. You can also pull the decoder wire upwards to prevent any water damage from puddles on the road. 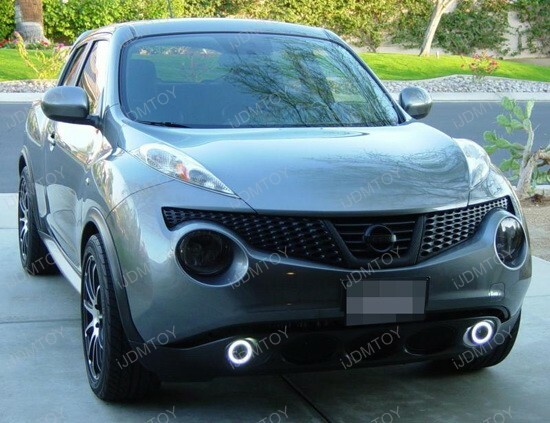 Q: How do I power up the fog lights? A: Tap the wires to the existing fog lamp harness or any 12V power source such as parking lights, side marker lights or even headlights. 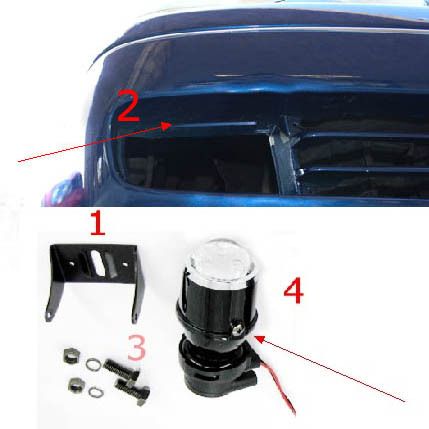 A: We have a general installation guide that will give you the some idea and concept on how to install projector fog lights for your car. 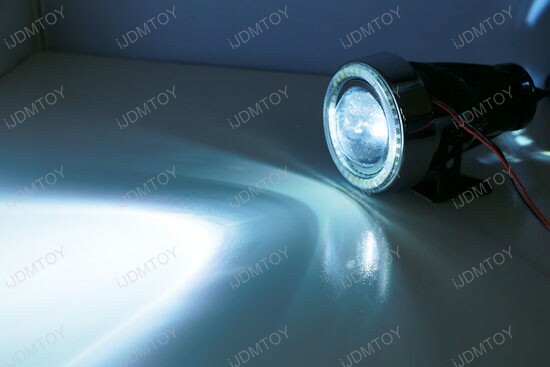 Q: Can I put HID lights for these projector fog lamps? 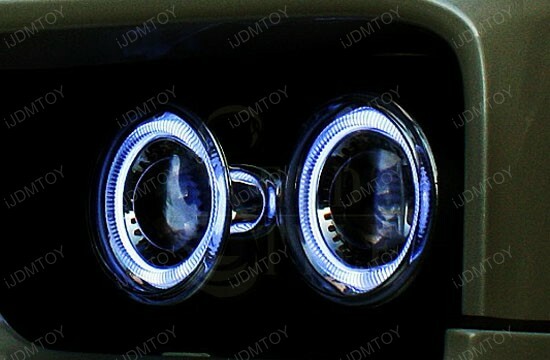 This page features for one set of Projector Fog Lights with 7000K xenon white 40-SMD-1210 LED Angel Eyes Halo Rings. 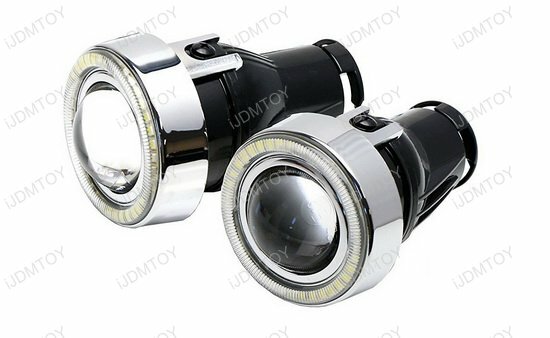 These projector fog lamps are equipped with E13 certified glass projector lens with internal cut-off line, perfect for upgrading with Xenon Headlamp Kit. 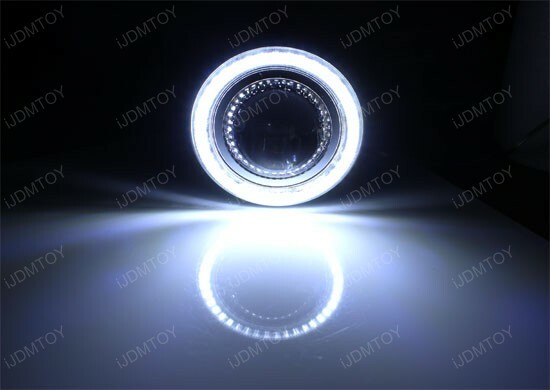 One pair of iJDMTOY Projector Fog Light Assembly with 7000K xenon white 40-SMD-1210 LED Angel Eyes Halo Rings. 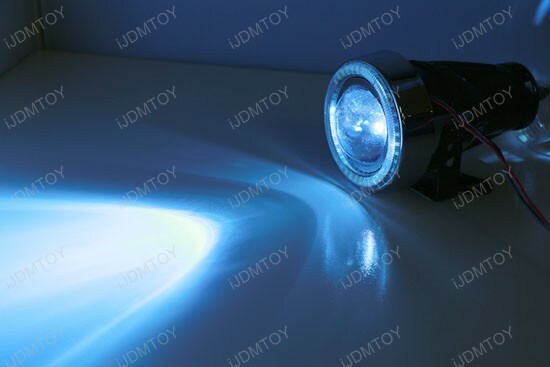 stunningly BRIGHT blue LED angel eyes... bought several different types of these projector fog lights for my custom van build. These made top billing! 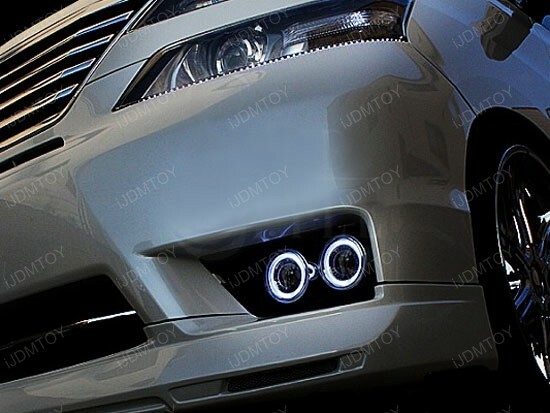 Bought these projector fog light lamps for my 1999 toyota camry XLE v6 in Oct 2015. Works like a charm..... a year and half and still going strong. 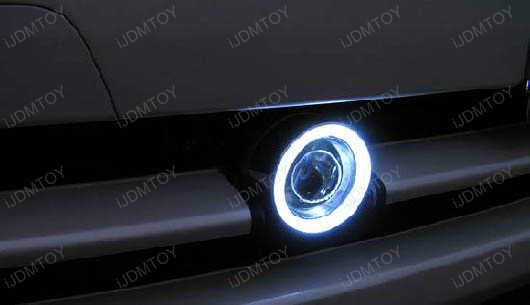 I bought these for my Scion tC replacing my old cracked fog lamps. I am really impressed of the brightness of these LED halo rings. Much brighter, even comparing with the headlight halo rings. Wiring is very straight forward, I tapped the wires to my stock parking lamps and that's it. My buddy gave me his OEM fog lamp bezel so I went get these fog lamps and tried to put on my FRS. 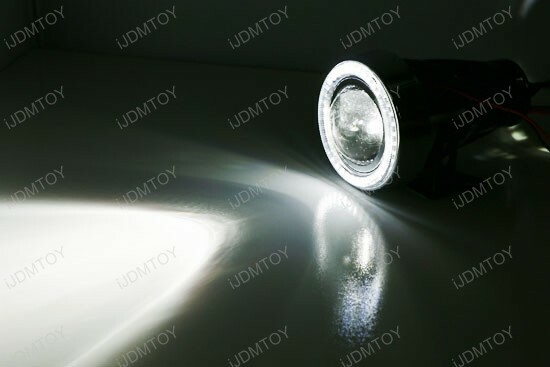 There are some minor modifications and overall, the fitting is good and nice output. 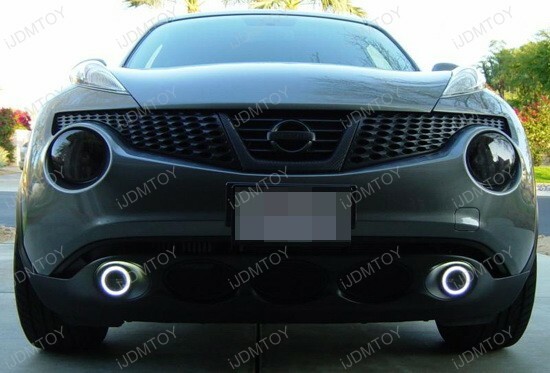 Very nice projector fog lamps for my Nissan Juke. 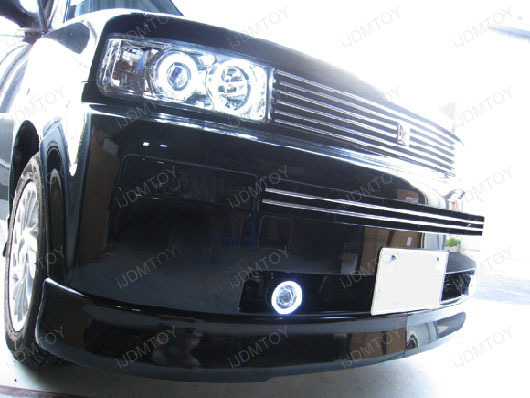 I installed these projectors to the stock fog light location and wire up to the ACC so when the car starts, the LED halo rings will light up and when my headlight is on, the fog lights will light up too.